Properly packing for the Polar Regions makes your adventure that much more enjoyable! We like our passengers to be prepared for any conditions they may encounter, whether cross-country skiing in Antarctica or touching down in a helicopter at the North Pole. Dressing in layers is important, as the weather can change quickly in the remote regions we visit. In our recent article on how to dress for Antarctica, we discussed the merits of merino wool undergarments and microfiber accessories, both of which are great for wicking moisture away from your skin. Those inner layers help you stay warm and dry, but you'll need a durable, water and windproof outer layer, as well. Gore-Tex fabric is a great option that blocks out the elements, but also offers breathability and comfort. Gore-Tex is a super durable, waterproof fabric that helps your body retain heat even in extreme conditions. Between the layers of high-performance lining and the shell material lies a thin, waterproof membrane with over 9 million pores per square inch. These separate layers are bonded together to form Gore-Tex fabric. Your body loses heat three times faster when your clothes are wet, so it's critical that your outer layer keeps all moisture out. Over each seam in a Gore-Tex shell, a thin layer of Gore-Seam tape is applied for maximum waterproofing. The outer layer of a Gore-Tex garment is treated with a special waterproofing polymer called DWR (durable water repellent). When you're wearing a Gore-Tex shell, hat or mitts, you'll notice that water beads up and rolls off the surface of the fabric – this is DWR at work. Over time, this thin polymer coating can wear away, due to washing in detergent, insect repellents, exposure to dirt and other factors you'd expect to put your clothes through while traveling the Arctic or Antarctica. 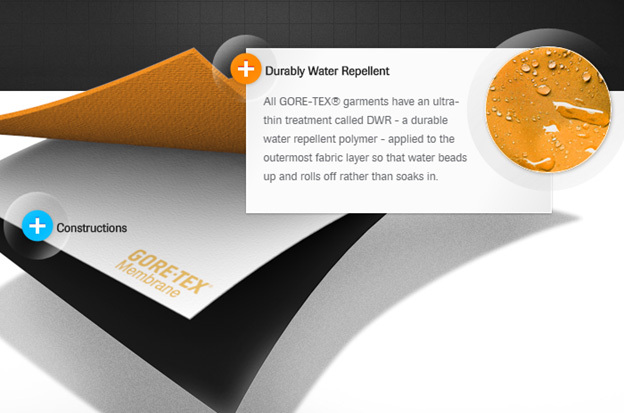 Unlike footwear treatments you need to apply over and over, Gore-Tex can be restored without additional product applications.  Simply wash your garment according to the instructions on the garment tag, then let it air-dry. Once it's completely dry, put the Gore-Tex in the dryer for 20 minutes to reactivate the DWR polymer. If you don't have access to a clothes dryer, you can iron it, instead. Use a gentle setting and don't apply steam; it's the dry heat that reactivates the waterproofing. Once treated, your Gore-Tex will be restored to a completely waterproof state and you're ready to head out on your polar expedition! While the manufacturer recommends machine-washing most Gore-Tex outer shells, gloves and mitts, for example, should be hand-washed in warm water. Remember, detergents can break down the outer DWR layer, so you should treat your Gore-Tex in the dryer once the mitts are dry. Try not to twist the mitts as you wring them out; instead, gently squeeze the water from the fingertips and let them drip-dry with the fingers facing upwards. You can also tumble dry them on the lowest setting available, unless the garment tag indicates otherwise. Once they're completely dry, treat them in the dryer and you're ready to go. It's not a bad idea to bring two sets of outer shell mitts on your expedition, so you have an extra set to wear while one is drying and being treated. 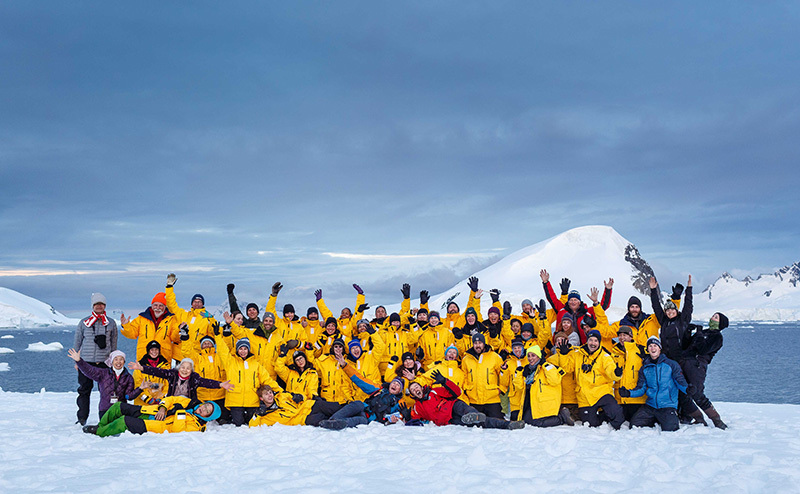 As you prepare for your next expedition cruise, check out the Quark Expeditions Gear Shop. 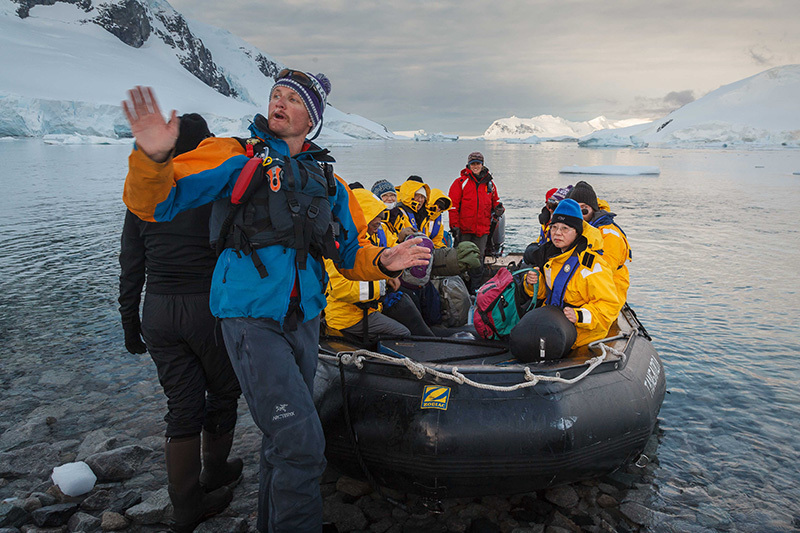 We carry top quality products, including Gore-Tex cold weather clothing, recommended by our experts and travelers to ensure the comfort and safety of guests in the Arctic and Antarctica.